A new underworld is presented to your Minecraft. AbyssalCraft 1.7.2 and 1.7.10 is a mod that aims to extend the possibility of Minecraft worlds or dimensions by adding a new world, the world of the dead. 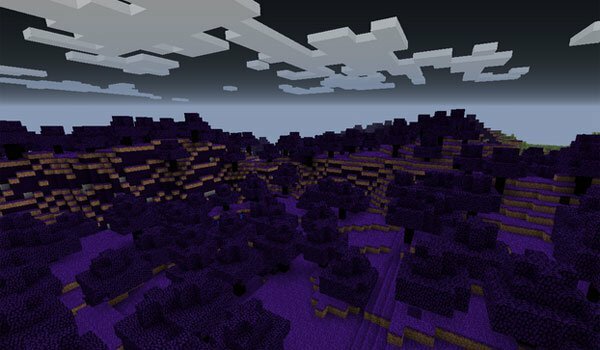 As we know, in Minecraft, there is what would be the normal world, the Nether and The End, but now you will have a new place to explore! This mod adds the possibility to delve into the realm of the dead, beings who are expecting a visit from any living being to pounce on them. To visit these new friends, create a portal using materials that you will find in the new bioma called The Darklands. A part from new materials, in this new wolrd you will also find: enemies, bosses, structures and fortress ready to discovery. How to install AbyssalCraft Mod for Minecraft 1.7.2 and 1.7.10? Access the world of the dead in Minecraft!